We are pleased to announce the appointment of TSL Shipping & Trading as our Sales Agent in the USA Gulf. TSL has extensive experience within the projects and breakbulk sector and enjoy a well-established reputation in the U.S. Gulf market. Over the past 4 years, ARRC has been upgrading our fleet with vessels that offer increased capacity to accommodate the market demands of our clients on our USA/N. Europe/Baltics service. ARRC will continue servicing clients in this trade lane especially where their expertise is needed in the Russian market. TSL will primarily focus on our direct sailings between US and EU ports. As we enter our 25th year of operation, we are eager to take one more step forward by appointing TSL Shipping & Trading as our Sales Agent in the USA Gulf. 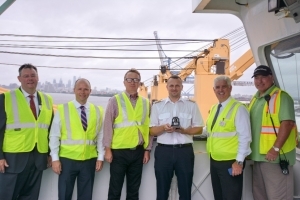 In August, Atlantic Ro-Ro Carriers had its first vessel call at Philadelphia’s Tioga Marine Terminal. The Warnow Sun, a multicargo-handling vessel that carries breakbulk, project cargo, vehicles, containers, and heavy lift, began service between, Russia, Belgium, and the US East and Gulf Coasts. “This service requires a diverse set of skills and includes everything from heavy lift know-how to the more straightforward container operations,” Robert Palaima, president of Delaware River Stevedores (DRS) and operator of Tioga Marine Terminal, added. The ARRC service “is exactly in our wheelhouse,” he said. Visit us at BreakBulk Americas 2018! Visit our booth # 1316 at BreakBulk Americas 2018 in Houston, Texas! The exhibition will run from October 2-4. August 21, 2018 – Today, Atlantic RoRo Carriers Inc. (ARRC) had its first vessel call at The Port of Philadelphia’s Tioga Marine Terminal. 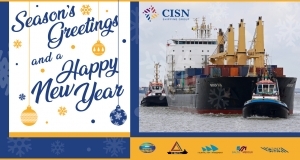 The M/V Warnow Sun is part of ARRC’s multi-cargo handling vessels of breakbulk, project cargo, vehicles, containers and heavy lift ability operating between St. Petersburg, Russia; Antwerp, Belgium and the United States East and Gulf coasts. Please be advised that vessel M/V Warnow Sun Voyage 1810 shall be sailing St. Petersburg mid-July direct to Philadelphia-Tioga Terminal, and this shall be part of our liner service operating between Russia to the USA East Coast-Gulf service. 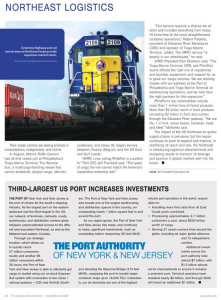 ARRC Line has been operating to the USA East Coast for more than 20 years and Tioga Marine Terminal will better service the growing needs of our customers. Tioga Marine Terminal (DRS Stevedores) is one of the few multi-purposes facilities on the East Coast that specializes in handling project cargo, containers, break-bulk, forest products and steel products. A heavy-lift crane of 100 tons and available equipment up to 180 ton lifts are in place. Tioga Marine Terminal has ample warehousing space to handle cargo for inside storage and to act as a Central Distribution depot for storing and releasing cargo as per customers’ requirements. Easy access to the Mid-West are via Norfolk Southern and CSX rail located next to vessel allowing cargo to be transferred ship to rail when required.